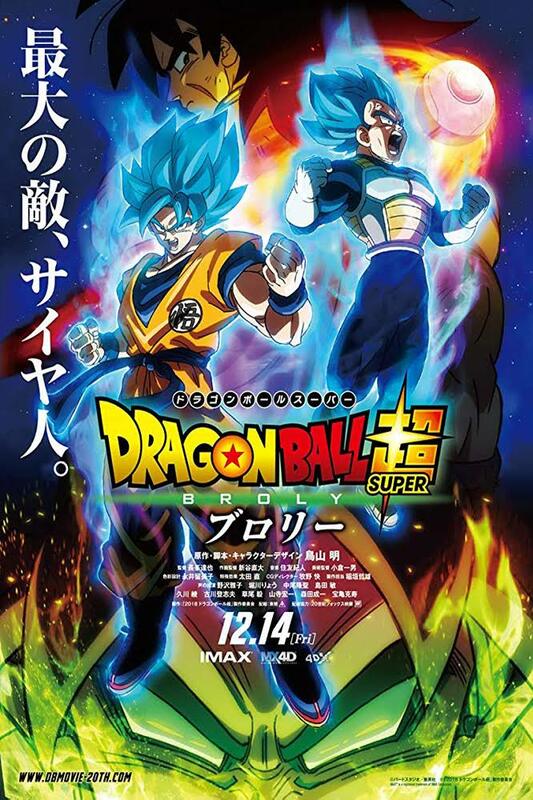 In DRAGON BALL SUPER: BROLY, a movie based on a popular Japanese TV series, two friends from another planet must join forces to battle a refugee from their planet who has revenge in his heart put there by his father. Designed mostly for fans of the TV series, DRAGON BALL SUPER: BROLY is dominated by a pagan worldview, with a few positive elements such as mercy, but media-wise viewers should take extreme caution. In DRAGON BALL SUPER: BROLY, a movie based on a popular Japanese TV series, the King is about to have a son, named Vegeta, who’s meant to be one of the most powerful Saiyans in the galaxy. The Saiyans are a unique species that are part monkey and have super powers, sometimes even being able to converge into a “super Saiyan” where they become even more powerful. However, when there is another child whose powers measure above the King’s son, the King feels threatened by this child, named Broly. Sensing the threat of the King, Broly’s father loads himself and his son into a pod and escapes from the planet immediately. Around the same time, a Saiyan warrior feels a threat to the entire planet and chooses to send his son, Goku, off in a pod as well. Goku’s parents promise to come after him if they are wrong, but shortly after, an evil force created by the villain Frieza destroys their home planet, killing almost the entire Saiyan population with it. Years later, the King’s son, Vegeta, and Goku have been training together almost their whole lives, and have grown to be strong and powerful warriors. Planets away, Broly and his father have been isolated, sending out a distress signal constantly in hopes of a rescue. One day, a few creatures who are now part of Frieza’s squad, respond to the distress signal and find Broly and his father. Now, because of the King’s plan to harm Broly, Broly’s father is seeking revenge against the King’s son, Vegeta, and pledges an alliance with Frieza. Frieza has already had a long-standing grudge against Goku, and they set out to destroy Goku and Vegeta. Following the orders of his revenge-seeking father, Broly begins to battle Vegeta, showing his lack of training. However, his sheer power begins to manifest, and he soon overcomes Vegeta and Goku. The two Saiyans begin to see that the true Broly doesn’t know any better than what he’s being told. They try to show him mercy, but Broly has no self-control and continues to try to destroy them. Now, the two must figure out how to adequately battle this superpower, while also seeing that he’s fighting his father’s battle. In order to sufficiently enjoy this movie, one must have proficient knowledge and previous enjoyment of the genre and franchise. Many of the jokes and references are only understood if there’s a pre-existing comprehension of this particular series. With that said, the fans of anime and Dragon Ball have widely enjoyed this new movie, praising its entertainment value. However, this movie contains questionable elements such as an overarching pagan worldview, mystical elements and some cursing. There are a few redemptive elements when different characters show mercy to Broly because of his innocence and ignorance of the violent revenge he’s carrying out. Because of these elements, as well as a moderate amount of violence, MOVEGUIDE® advises extreme caution. One example of stealing as a woman’s lab is robbed, revenge is a major theme as the villain pursues the hero for whatever wrong he has caused him before this movie, one character’s father comes after the King’s son for what the king did to him years before, examples of family dysfunction, and a bad role model as character’s father leads him down a road of violence and revenge. In DRAGON BALL SUPER: BROLY, Goku and Vegeta are faced with a warrior, Broly, they’ve never encountered before. He was sent away from their planet before it was destroyed because Vegeta’s father, the King, was threatened by his power. However, when a few pawns of the villain Frieza find Broly and his father on the planet where they have been living for years, Broly’s father pledges allegiance to Frieza and vows to destroy Vegeta. Goku and Vegeta must combine their powers to combat Broly’s superpowers. For Dragon Ball fans, this movie is the best production thus far for the franchise. However, someone who has never seen or experienced this storyline could easily feel quite lost viewing this movie. Many of the jokes and references are for those familiar with the original Japanese TV series prior to viewing this particular movie. DRAGON BALL SUPER also contains a strong pagan worldview with magical powers being a key point in the storyline with minor redemptive elements. This is combined with lots of action violence and some curse words, so MOVIEGUIDE® advises extreme caution for younger viewers.